To address the need for diagnosing the growing trend of food intolerances worldwide, DST GmbH has designed ELISA kits for the detection of specific IgG4 and specific IgG for laboratory use. A combination of different food panels are available – 44 foods, 88 foods, 184 foods and 280 foods. The offering of food panels covers the most common foods that form part of the diet in in different regions of the world. We have access to more than 300 food extracts manufactured in-house and are available for customizing the food intolerance panel for you. We are happy to offer the same panel of food allergens for the detection of specific IgG4 or specific IgG. Point-to-point regression is based on the measured absorption on the 6-point standard curve. 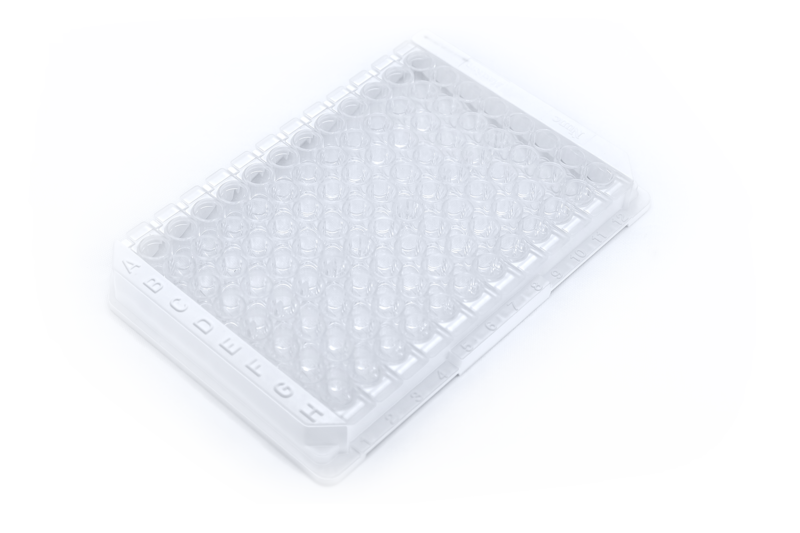 Allergen extracts from different foods are bound to the surface of the microtiter plate wells. For testing, a diluted sample (serum or plasma) is added to the wells. Specific IgG4 antibodies of the sample bind to the antigens in the wells during incubation. Non-bound components of serum or plasma are washed away after incubation of the sample. Horseradish peroxidase- coupled anti-IgG4 antibodies (conjugate) are added and bind to the IgG4 antibodies of the sample, the standards or controls. Subsequently, unbound detection antibodies are washed away. The color substrate TMB (3,3‘,5,5‘-tetramethylbenzidine) is added, which is converted by the horseradish peroxidase conjugate. The reaction is stopped by adding a stop solution. A yellow dye is formed and the respective intensity correlates with the proportional amount of locally-bound antibody. The identified units/mL can be assigned to the respective intensity and provide the level of specific IgG4 sensitization (See table below).